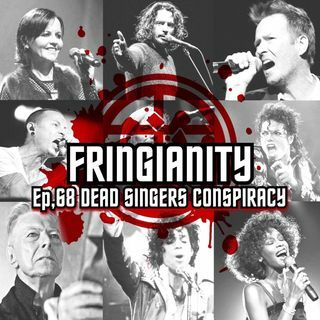 In this episode I talk about theory's and very strange coincidences of many lead singer song writers and their sudden deaths. I also talk about benefits the record companies have after famous singers die sudden mysterious deaths. When singers die record sales sky rocket high. Follow the money. If you like the show please leave a review on iTunes or google. It helps to make the show more popular and easier to find on the search results. Also please check out the LEO RUTLEDGE YouTube ... See More channel for new fringianity underground podcast episodes and subscribe Thanks for taking the time to listen and God bless.